Large 102cm Metal Wall Clock with Silver Numerals Dimensions:H102 x W102 cmMaterial:MetalEAN:6490164..
A durable, wooden heart shaped bowl with a smooth finish. The perfect size for nibbles or treats. Me.. 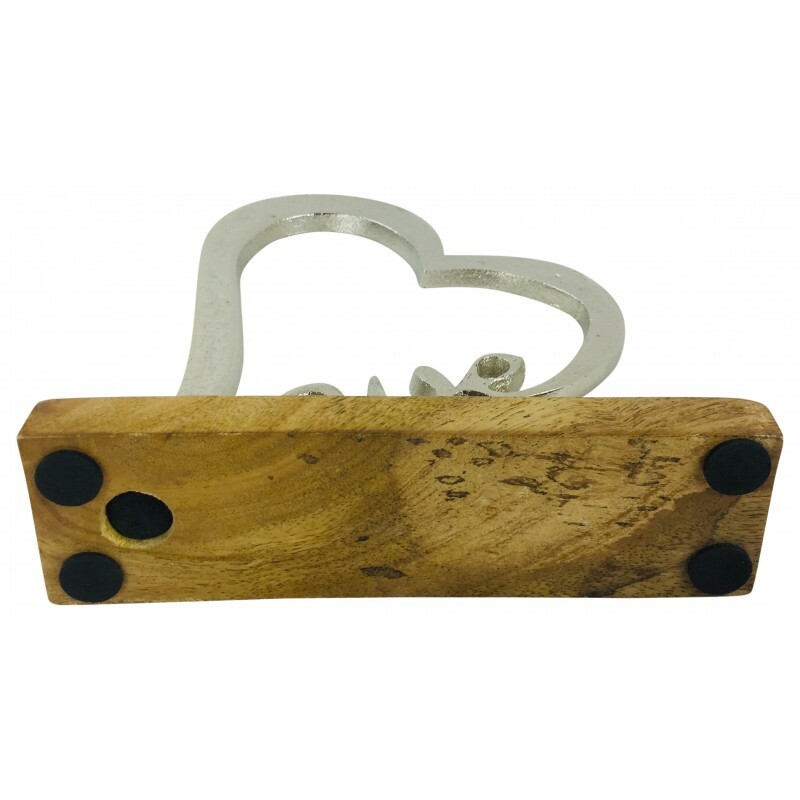 The base is made out of solid wood with the hearts being made out of metal with a stylish chrome fin..
A beautiful double heart ornament made out of ceramic with a lovely chrome finish. 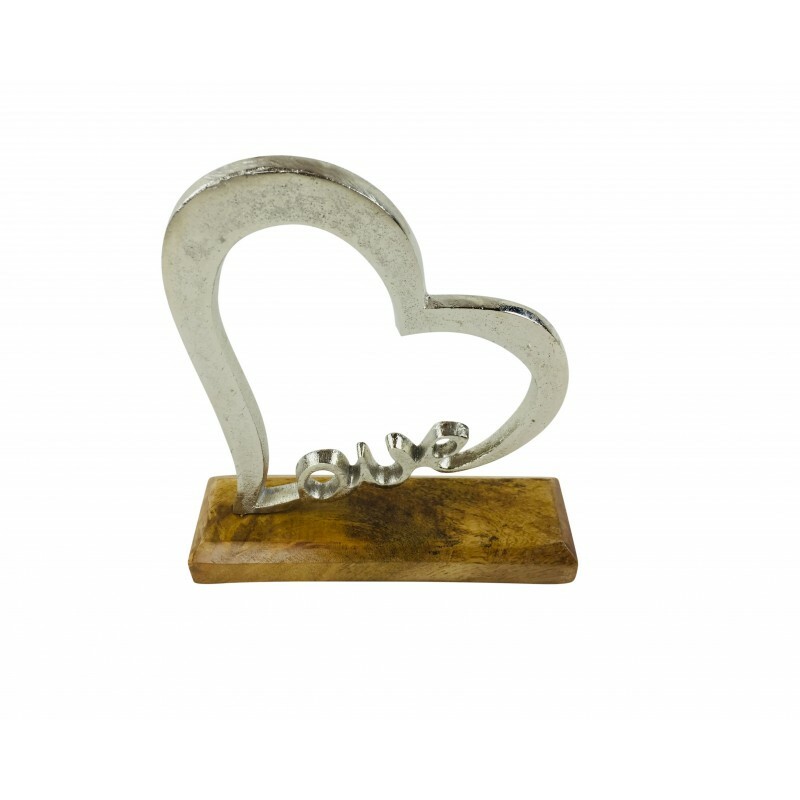 These two overlap..
A metal love letter ornament with a chrome finish and brown solid wooden base. 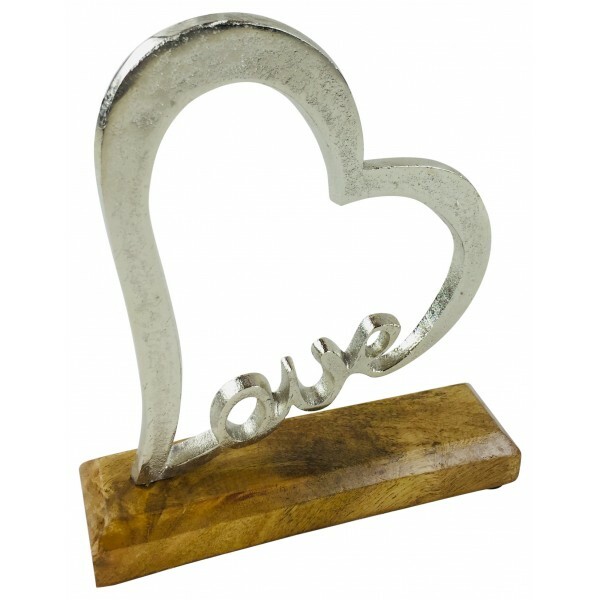 The base has four rai..
A metal love heart ornament with a chrome finish and brown solid wooden base. This lovely design shows the word "Love" integrated in to the heart itself. There are four raised rubber pads on the under side of the base to prevent scratching. Measurements: W18cm D5.3cm H20.5cm. The base may vary a few mm due to it being hand made. Free shipping to mainland U.K. only. V.A.T. is included on all purchases. Free Delivery Mainland UK only 2-4 Working Days.